Since our founding, the National Wildlife Federation has been active calling on various Administrations to protect our public lands, including federal designations like national parks, forests, wildlife refuges and monuments, as well as state and local areas owned by the public. We work to conserve these areas and keep them accessible to all Americans. Leveraging laws such as the Antiquities Act, signed by President Theodore Roosevelt in 1906 and encouraging presidents to designate national monuments meant to honor our cultural, historical and natural heritage, NWF has helped steer presidencies towards conservation. With support from NWF, President Barrack Obama, dubbed the “21st century Theodore Roosevelt,” has protected more acres of public land and water than any other president in history. The Federation’s public lands team advocates for conservation of wildlife and their habitat on these lands, works to redefine how energy development is pursued to protect fish and wildlife, and strives to stop the privatization of public lands. We are committed to safeguarding these special places and other landscapes that provide habitat for wildlife and opportunities for people to recreate and reconnect with nature. Our staff works to preserve these areas for the wildlife and people who depend on them through several different campaigns and initiatives. In honor of National Public Lands Day and Hunting and Fishing Day this past Saturday, we encourage you to celebrate and enjoy public lands all year round! Here are a few of our favorites, each offering great wildlife opportunities in different seasons. These two forests encompass over 416,000 acres of Vermont and New York. The area has many natural offerings, such as Thundering Falls, sections of the Appalachian Trail, and Hapgood Pond, which offer great places to hike, camp, fish, and boat. Wildlife in this area include white-tailed deer, black bear, bobcats, and the occasional moose. 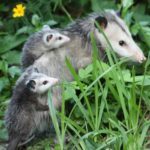 The National Wildlife Federation is working with the U.S. Forest Service and state organizations such as our Vermont affiliate, the Vermont Natural Resources Council, to create wildlife corridors for these species and more in Vermont’s Green Mountains. Why Fall? From mid-September through late October, visitors can see the forests transform into a beautiful array of fall colors. Here are other places to also explore to see beautiful fall foliage. This National Monument is known for its rocky intertidal area where visitors can see tide pools. Named after Juan Rodriguez Cabrillo, the first European to land on the West Coast in 1542, this area offers historic sites such as a statue of Carbillo and the Old Point Loma Lighthouse. Visitors can hike along the trails, learn about the area’s history, swim, and watch for the Pacific Grey whales as well as other sea creatures. Why Winter? From December through March, visitors can see migrating grey whales off the coast. You can learn more about grey whales in the National Wildlife Federation’s book, Migration Nation. Featured in Ranger Rick’s Travels: National Parks, this park has the tallest sand dunes in North America! Aptly named for its main features, Great Sand Dunes is a fun place to sand board and sled. The area, established as a National Park in 2004, also offers other landscapes for visitors to enjoy including grasslands, forests, and alpine tundra. Park visitors can see wildlife such as pronghorn, kangaroo rats, and sandhill cranes. Why Spring? One of the fun things to do here in the spring is to swim in Medano Creek, which typically reaches its peak flow in late May or early June depending on the seasonal stream from melting snow of the mountains. Established in 1960, this wildlife refuge is often considered the “crown jewel” of all national wildlife refuges, containing the largest area of designated Wilderness in the system. Encompassing 19.6 million acres of wild lands, including the Coastal Plain, the park is situated in the northeast corner of Alaska and offers visitors prime opportunities to hike the many mountains, fish in streams, float on rivers, camp in the backcountry, and look for Arctic wildlife such as caribou, grizzly bears, wolves, and snow geese. The National Wildlife Federation has been instrumental in protecting the Arctic from oil and gas drilling. Why Summer? Summer is ideal here because temperatures are warmest and days are long, allowing you more time to enjoy the nature around you. In some places far north, the sun may not set for 30 days in a row!